This book explains the fundamentals of reservoir engineering and their practical application in conducting a comprehensive field study. Chapter 1 reviews fundamentals of reservoir fluid behavior with an emphasis on the classification of reservoir and reservoir fluids. Chapter 2 documents reservoir-fluid properties, while Chapter 3 presents a comprehensive treatment and description of the routine and specialized PVT laboratory tests. The fundamentals of rock properties are discussed in Chapter 4 and numerous methodologies for generating those properties are reviewed. Chapter 5 focuses on presenting the concept of relative permeability and its applications in fluid flow calculations. The fundamental mathematical expressions that are used to describe the reservoir fluid flow behavior in porous media are discussed in Chapter 6, while Chapters 7 and 8 describe the principle of oil and gas well performance calculations, respectively. Chapter 9 provides the theoretical analysis of coning and outlines many of the practical solutions for calculating water and gas coning behavior. Various water influx calculation models are shown in Chapter 10, along with detailed descriptions of the computational steps involved in applying these models. 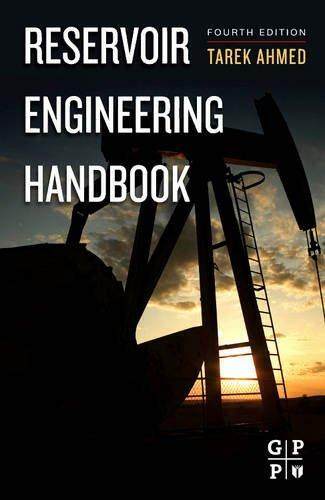 The objective of Chapter 11 is to introduce the basic principle of oil recovery mechanisms and to present the generalized form of the material balance equation. Chapters 12 and 13 focus on illustrating the practical applications of the material balance equation in oil and gas reservoirs.